Watch out, Cryptkeeper: There’s a new lovable master of TV horror ceremonies in town. As Variety reports, Netflix is getting in on the horror anthology trend with a new series, Guillermo del Toro Presents 10 After Midnight, curated by Oscar-winning director and grown-up monster kid Guillermo del Toro. 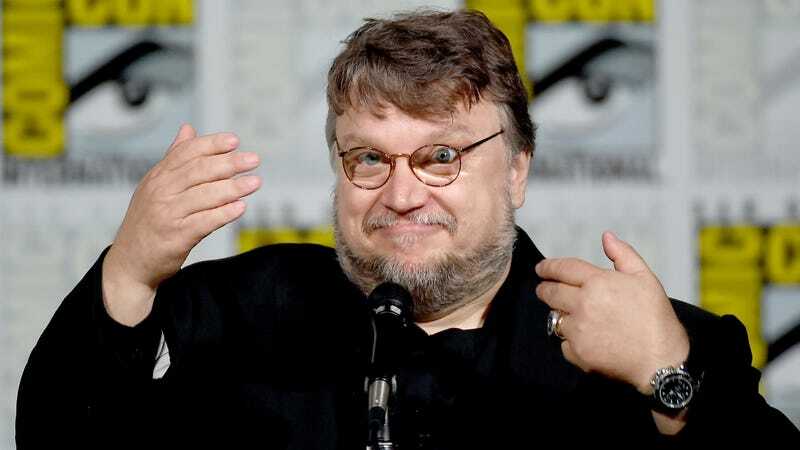 Del Toro will serve as executive producer on the series, and reportedly wants to write and direct select “equally sophisticated and horrific” episodes himself; the rest will come from writers and filmmakers personally selected by the director. This will be del Toro’s second series with Netflix, which currently airs his kid-friendly animated series Trollhunters. It’s also Netflix’s first stab—pun, as always, intended—at a horror anthology series, a hot format that also currently being explored by Syfy (the creepypasta-inspired Channel Zero), The CW (the female-led Black Rose Anthology), and Hulu (the holiday-themed Into The Dark). No premiere date or set number of episodes have been announced for 10 After Midnight at this point. As regular del Toro watchers know, that’s something of a reg flag for the director, who, like many excitable auteurs, is known for taking on lots of projects at the same time, then drifting away from most of them. As it currently stands, he’ll have to squeeze in the Netflix series in between his announced remake of the 1947 carnival noir Nightmare Alley, the Scary Stories To Tell In The Dark movie directed by The Autopsy Of Jane Doe’s Andre Øvredal he just sold at Cannes, his deal with DreamWorks Animation to write, produce, and direct animated family films for the studio, his new specialty film label at Fox Searchlight currently developing a new movie from Hostiles director Scott Cooper, and producing films for Mexican directors Karla Castaneda and Issa Lopez—all names we can probably expect to see in the credits of 10 After Midnight as well.